Can someone make me a snazzy Hoyer Mr Hero sig? I'd be forever grateful. Probably not what you were seeking, but this makes me laugh.
" Change is coming April 2015 "
Could you make me an Isaiah " The Crow" Crowell SIG using these pics? With this as the background. I would really appreciate it if you could try and make me this bada$$ SIG using these pictures. Thank you in advance. Go Browns! Is there any way that someone can make this into a signature for me? 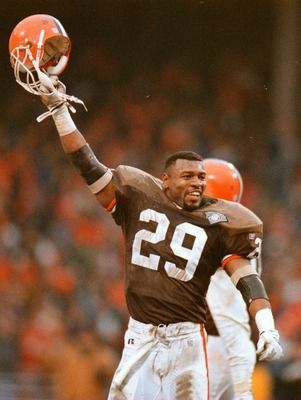 It's my all time favorite CLE defensive player, Eric Turner...and he is celebrating our LAST PLAYOFF WIN vs. the Patriots during January of 1995...during the 1994 season. Eric "E-Rock" Turner, #29, may be gone but not forgotten. Dr Seuss is that you? The name of that font is "Grinched". For realz. First... I missed that post BleedTheClock, were these special selfies of you or of someone more interesting? That really matters. Second, do we need a Hue hires a Horton sig now? Or maybe wait until there is a pic of Hue talking to Horton and make it Horton hears a Hue? Can somebody make me a sig with josh gordon, and rg3 on it saying "The Cleveland Express"
Hoping to plug headshots onto Hudson, Murray, Akroyd and Ramis with "Hue You Gonna Call?" as the tag line. Don't know if anyone still does these sort of things.